Herbal sleep aids can, for many people, be a good choice for treating insomnia and sleep difficulties naturally. In more recent years, studies have shown that some medicinal herbs and certain combinations of natural herbs can act as natural sleep aids and offer similar or the same calming effects as prescription drugs and sometimes eliminate the need for taking synthetic medication altogether. Synthetic medications for insomnia are very useful but can come with somewhat bothersome side effects like addiction and influence the natural sleep rhythms in a negative manner if taken over a long period. Therefore it is good to know that there are “green sleeping pills” that can be an alternative to what the doctor has to prescribe. 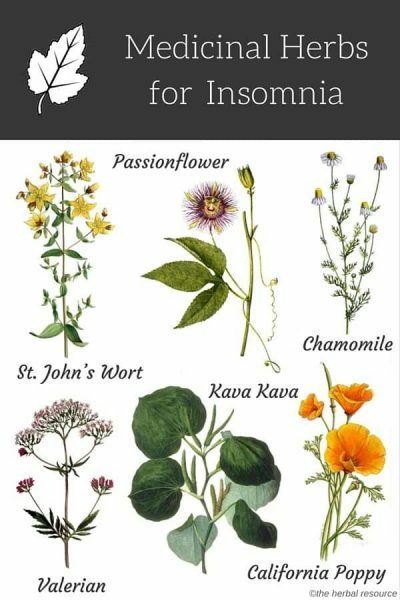 In many cases, it is essential to view herbal remedies for insomnia as a holistic approach where medicinal herbs are only a part of the overall treatment and management of this condition. It is vital to get a safe medical diagnosis before starting self-treatment with herbs intended for insomnia and addressing the underlying cause of the condition with a professional healthcare practitioner. Kava kava (Piper methysticum) is often used as an herbal insomnia remedy. This particular herb is extremely popular throughout the South Seas and is quickly growing in popularity throughout the United States. When used as natural sleep aids, kava kava can impart a natural calm feeling, as it helps to relax the body, as well as enhance dreaming. This herb for insomnia is also often recommended for chronic fatigue. Long-term use should be avoided due to the possibility of liver damage. Valerian (Valeriana officinalis) is another herb that has been used for a long time as an herbal sleep aid. Valerian is the most popular herb for insomnia, and it is the natural source of Valium. It eases nervous tension, muscle tension, and anxiety. 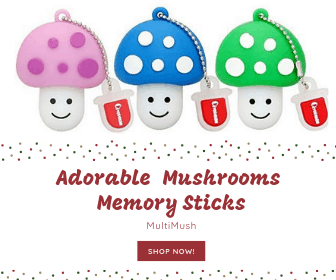 It can be used as an occasional treatment for restlessness but may be most beneficial for insomnia treatment over the long-term. It works well in combination with other sedative herbs. Valerian root does not have the harsh side effects of many pharmaceutical treatments, like Valium, but in high doses, this herb can cause nausea, headaches, dizziness, weakened heartbeat, and even paralysis. Taken in recommended dosages, it is considered safe. Due to the tonic and relaxant effect, it should not be taken when driving or when reactions and mental acuity are needed. It should not be combined with pharmaceutical medicines that have similar effects. Chamomile (Matricaria recutita) has been used for centuries as an herbal sleep aid. It is a very gentle herb and is considered safe both for adults and children. As a herb for insomnia is most often drunk as a tea, which has a mild, pleasant flavor. It has a mild, soothing effect which aids sleep and reduces restlessness. It also has a positive effect on digestion. The active ingredients in chamomile include a volatile oil and a falconoid, apigenin, with other components helping as well. Science has not yet determined the exact mechanism by which this herb aids sleep. Chamomile is a very mild herb and does not lead to dependency. It has not been shown to have any side effects. Individuals with allergies to plants such as ragweed or daisies may react to this herb. It may increase the effects of other sleep aids and should be used with caution when combined with other drug therapies. Passion flower (Passiflora incarnata), used by the Aztecs as a sedative, has a calming and sleep-inducing effect. This is a gentle, non-habit-forming herbal sleep aid. This is a very safe herb and has been used by both adults and children to counter the effects of stress and tension. It helps to relax the mind and body to induce restful sleep. The active ingredient, harmine, and related compounds help inhibit the breakdown of serotonin. This herb can be taken as a tea, tincture or as capsules. The only noted side effect of this herb is sleepiness, which in this use is a very positive effect. Another natural herb commonly used as an herbal insomnia remedy. California poppy (Eschscholzia californica) can be found in many herbal sleep aids sold in the United States today. This natural herb can help promote sleep, relaxation and ease mild anxiety. Because of this herb’s mild sedative properties, it is also safe to give to children who have trouble sleeping. Traditionally used for restless leg syndrome and other causes of insomnia. Skullcap (Scutellaria lateriflora) reliefs nervous tension and renews the central nervous system. Schisandra chinensis) is commonly used in Traditional Chinese Medicine (TCM). It is the fruit (berry) of this deciduous woody vine that is used in herbal medicine. The fruit is regarded to have relaxation-inducing properties and has high levels of vitamins and minerals. Schisandra berry was found in one study using animal models (mice and rats), to have sedative and hypnotic activity. The study showed that it prolonged sleep and improved sleep patterns. The results indicate that shcisandra could be helpful for insomnia but more studies are needed though to confirm the herb’s effectiveness in humans. Hops (Humulus lupulus) is a common flavoring for beer but also has a calming, soothing effect, and it has been used for millennia to treat insomnia, anxiety, agitation and to relieve pain. The soothing substance found in hops is probably methyl butanol, which has a calming effect on the central nervous system. Hops can be consumed as herbal tea, or in tincture or capsule form which may also contain other sleep-enhancing herbs like valerian. Pillows are sometimes made of hops to help induce relaxation and restful sleep. Tart cherry (Prunus cerasus) also known as sour cherry contains melatonin, a sleep-inducing hormone that has been shown to be useful as a treatment for insomnia (controls the sleep-wake cycle). A randomized, double-blind, pilot study consisting of 15 adults suffering from insomnia showed that tart cherry consumption resulted in a much greater reduction in insomnia severity compared to the placebo. Another smaller study found that those who drank tart cherry juice both in the morning and at night were able to sleep longer (84 minutes average) compared to the placebo, and their sleep pattern was improved. Catnip (Nepeta cataria) is known for its calming effect, and it contains substances that are similar to those found in valerian. It has a considerably more pleasant taste than valerian. The right nutrition, exercise, and supplementation all have effects on insomnia. Melatonin is a natural hormone produced by the body at night that helps regulate the sleep cycle. Supplementation of melatonin can help regulate the sleep cycle, especially for those suffering from jet-lag, odd sleep/wake cycles, or in areas with light/dark cycles that affect sleep. Tryptophan is another natural substance, an amino acid in this case, that helps improve sleep. It is a precursor to serotonin. Low serotonin levels lead to irritability, restlessness, and difficulty sleeping. Tryptophan can be increased by eating foods such as; turkey, cottage cheese, peanuts, soy, milk, and brown rice. Make Your Own All-Natural Sleep Aid from Frugally Sustainable. Bedtime Blues: What to do when you can’t sleep by Carrie Angus, M.D. Carrie Angus, M.D., is a yoga student practicing holistic medicine at the Himalayan Institute’s Center for Health and Healing in Honesdale, Pennsylvania. Griggs, Barbara: Helpful herbs for health and beauty. Oxford, England. The Infinite Ideas Company Limited 2008. Ottariano, Steven G.: Medicinal Herbal Therapy. Portsmouth, England. Nicolin Fields Publishing 1999. Foster, Steven: Herbs for Your Health: A Handy Guide for Knowing and Using 50 Common Herbs. Loveland, Colorado. Interweave Press 1996. Hoffmann, David: Herbs for a Good Night’s Sleep. New Canaan, Connecticut. Keats Publishing, Inc. 1997. Graedon, Joe & Teresa Graedon: The People’s Pharmacy: Home and Herbal Remedies. New York. St. Martin’s Press 1999. Basch, Ethan M.: Natural Standard Herb & Supplement Handbook: The Clinical Bottom Line. St. Louis, Missouri. Elsevier Mosby 2005.